We could simply decide not to actually focus on physical reality as much anymore since it is rather hard to control. Instead, we could turn to education with its invisible ability to focus “on the belief systems with which individuals make sense of their interactions with the social and biophysical environment.” Recognizing this “need to change values, beliefs, and worldviews as a response to [assumed] climate change,” but also that “forced” transformations are generally visible, controversial, and subject to being blocked, we could use “transformative education” as a means of altering consciousness. We could even come up with a catchy phrase about a Common Core that allows physical movement among states and lets a student be internationally competitive in the fast-changing 21st century. Those of us that remember the Tyndall Centre in the UK for its participation in the email obfuscation of ClimateGate may see the need to obscure reality deviating from models when we look at how they are now pushing an Integrative Worldview Framework. Reminiscent of Ervin Laszlo’s Holos Consciousness that we have covered, it goes after the “Overarching systems of meaning and meaning-making that to a substantial extent inform how we interpret, enact, and co-create reality.” Can you say Intrusive? Authoritarian aspirations unsuitable for a free society? Me too. Climate-Resilient Pathways is all about a priori, or in anticipation of, Transformational Change so supposedly the need to mitigate later will not be as catastrophic. Professors O’Brien and Sygna laid out “three interacting spheres or realms where transformational changes towards sustainability may be initiated.” The actual diagram had the Practical Sphere–Behaviors and Technical Responses–as the central core within a larger sphere of Political Systems and Structures. Are you still wondering why there is such a push to take decision-making power away from elected local officials while replacing with appointed regional bodies unaccountable to voters? In part 2 of this Trilogy of Planned Adaptation and Unconsented to Change, I will lay out a new official definition of Knowledge. Mental representations that lead to predictable action. No need in the 21st century apparently to be true, only influential. Theories and models are fine as long as they can be used to alter behavior in the future. Returning now to that 2010 article by Miklos Antal and Janne I Hukkinen that was cited by O’Brien and Sygna, the IPCC’s current methods are “counterproductive” because of “equating the policy mode of operation with the science mode of operation.” That “in fact keeps opening up potential points of attack for the climate skeptics and gives new grounds for psychological defense strategies.” So reports can discuss science issues as if it really mattered as an obfuscation tactic, but the real battlefield will be at the level of the human mind and a student’s personality. Instead of “individual safety” being “strongly linked to individual performance” as is presently common, people need to be convinced of the “vulnerabilities of the current economic system.” Then they can be convinced of the need to “restructure it by prioritizing system level stability over individual level gain.” Likewise, Antal/Hukkinen wanted to create ” a viable mental representation of the contradiction in people’s minds.” They suggested using “simple, unambiguous, and credible” language and visuals to establish a direct connection between individual safety and system survival” within each person’s belief and value system. They noted that many people will respond to such a simple “We have to save our civilization” statement. I would note that jettisoning textbooks, lectures, fluent reading, and all the other elements we have talked about keeps pesky facts from interfering with this desired worldview and belief system. Glad something is enriched at least in theory. The real world consequences of such transformative education are likely to be anything but for everyone not pushing these visions for hire. Even they are consuming seed corn without knowing it or apparently caring much. As we continue to ponder the reality that education has embarked globally on an enormous social experiment designed to change what students believe, value, and care about, without regard to likely consequences or the world as it actually exists, two more publications came my way this week. 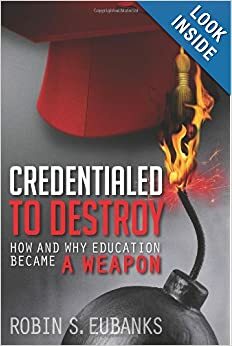 Each really hammered hard that it is change in personal development and a hoped for transformation in political, social, and economic institutions that is the point of education reform. Misportraying reality is just an acceptable means to political goals. This can be quite hard for us to read or even contemplate. I always feel like the English fighting what they saw as overreach by the Stuart kings or how the American colonists saw King George and Parliament’s actions. I am not asserting a desire to finally be free. Will future students and the adults they will become though ever have that same sense that “service before self” is not a good slogan to live life by? Will they grasp that schools and universities forcing acceptance of such a belief are dramatically changing what it will now mean to be educated? The first paper came from the National Education Policy Center and it touted the ability of the Common Core framework to promote a “race-conscious and progressive agenda” focused on equity. http://nepc.colorado.edu/publication/seeing-past-the-colorblind-myth Yep, we can only wish I was exaggerating a smidgen, but no–“We see the Common Core as a powerful opportunity to build diversity into instruction and encourage powerful dialogue.” Not the least bit of interest in looking at the created dysfunction in urban schools from earlier piloting of Vygotsky’s sociocultural psychology in those classrooms or the deliberate destruction of Inner Cities by political machines. Those would not be politically useful facts on our way to forcing enactment of King’s Beloved Community vision to properly commemorate the man. The 2nd paper dated November 2013 from the Asia Society and the Rand Corporation once again confirmed that the word Competencies is the global euphemism obscuring the actual developmental focus of these required shifts in education. Common Core is merely the means to get the US on board and to eliminate tests that focus on content and facts. In the 21st century content can be used to practice essential skills. The rest of its use though is to change what the student believes, how she behaves, when she feels compelled to act and how, and what she cares for and how she will show it. The paper “Measuring 21st Century Competencies: Guidance for Educators” gave examples of the kind of Assessments that would be used in the 21st Century. One, a Mission Skills Assessment, developed by ETS for use in private independent schools, gets incorporated into classwork to affirmatively shift student’s values and beliefs. Another, the PISA Collaborative Problem Solving assessment intends to use a computer generated avatar to interact with the student in virtual reality simulations. In the give-and-take with the computer, it will be the actual student who will be changing as a result of the programmed interaction. The SimScientists are cited as another curriculum with embedded assessments that rely on a designed virtual reality to replace the old textbook focus on facts and proven theories. Most people though will believe what they have experienced even if the experiences were carefully created to instill influential false beliefs. In fact, by breaking the competencies into the categories of cognitive, interpersonal, and intrapersonal, that report replicated the very same explicitly proclaimed developmental focus that the Obama Administration http://www.invisibleserfscollar.com/college-ready-as-a-goal-of-k-12-is-not-helpful-if-first-you-gut-the-historic-purpose-of-college/ wants to require from colleges and universities now. The one grounded in Robert Kegan’s work that the OECD is also stressing. Remember how many times we have confronted the command that tasks or assessments be “untaught material” or “ambiguous situations with no fixed solution”? Valsineer went on to say expressly that this emphasis on the active role of the student who changes himself through his use of cultural tools and collaboration with others was grounded in the “dialectical philosophy (that was widely propagated in the Soviet Union in the 1920s. )” Well, at least they had a formal bloody revolution and a new flag and the Bolshevik creed to tip the average person that there was a political transformation going on at the level of the psychological characteristics of the individual. How about us? Valsineer tells us that “In cultural-historical thinking, historical implies the connection between past, present, and future.” By limiting access to what has been created by humans in the past, especially fluent use of symbol systems like reading and math that promote abstract thought, in today’s classrooms, CHAT seeks to change the nature of the future in predictable ways. It was created for a totalitarian regime. Transported to a free society like the US or Canada or Australia, this developmental focus is intended to change those cultures in collectivist directions. Remember the intentions of the creators travel with education and psychological theories even if they are left unstated in the present implementation. As we have discovered though the communitarian focus is actually stated in the real definition of career ready as well as in Character Education and Positive School Climate materials. As I so often do when I am presented with an unpleasant but inescapable conclusion of what the actual education reforms are intended to do, I once again dug into some history. I went back to political scientist Kenneth Minogue’s 1963 book The Liberal Mind. He recognized the importance of subverting facts and the truth every time there is an aspiration to utopian thinking. Anytime we are looking at visions that “aim at nothing less than the transformation of human life,” we will find that “so ambitious a project necessarily takes a great interest in education, for like all movements, it is eager to recruit the young.” Amen to that. Minogue also foresaw that once change in the student is viewed as “a means to something else” that “outside manipulation is not far away.” Amen again and hiding as a Whole Child emphasis or in mindfulness practices tucked into definitions of physical fitness or Positive School Climate practices to supposedly combat bullying. History also tells us that these utopian ends are never achieved and that horrible damage comes from this official instrumental focus on people as simply a means to desired political ends. Especially when, as now, the desired ends are being duplicitously withheld as the true justification for the education reforms. Or fraudulently sold as 21st century personalized learning that requires that tablets replace textbooks and group projects need to substitute for lectures. Is the typical Principal or District Super these days to be an intentional social revolutionary or just an inadvertent one? Science Fiction Made Real: Were We Ever To Know In Time? The new central role of the behavioral and social sciences in trying to create and manage an entirely new and theoretical vision of the world turns out to be openly announced, repeatedly, if we know where to look. I was not particularly looking. In fact, my intention was to make this post about Connected digital Learning and how that initiative is openly grounding itself in Cultural-Historical Activity Theory, our beloved CHAT, and proclaiming the plan to remake the American economy and society in the name of equity for all. I have been writing for a while about the kind of personal, unconscious level, data adaptive software and gaming and virtual reality exercises will be accumulating. I have also been researching the new federally established Learning Registry (linked via its ADL partner to comparable global initiatives in other countries) and recognize it is about accumulating practices shown to create desired change at the level of a student’s mindset–what they believe and value. So when the federal DoED this week put on a well-attended Dog and Pony Show around ensuring student data privacy blogs.edweek.org/edweek/DigitalEducation/Student Privacy and Online Educational Services (February 2014).pdf , my reaction could be succinctly described as “What a sham!” and “So not the point.” I actually have been doing my homework around the aspirations for Big Data. My musings though pulled up intentions I never would have guessed about where all these pushes around systems thinking and ICT were going. And what’s more it even announces its links to IBM (Smarter Planet from Conclusion of book), Microsoft (Models of the World, who knew? ), Alex Pentland and his MIT Media group (that new Social Physics book I wrote about recently), and George Soros, among others. Oh, and working with Oxford University. Remember that 2013 book Big Data: A Revolution that Will Transform How We Live, Work, and Think I wrote about? Not so fast on the likelihood of solutions. Have I ever mentioned how much I dislike lousy metaphors? They are generally the mark of either a weak mind or a deceitful one. When the prevailing perception of how our solar system was structured shifted to the heliocentric view, it was simply shifting to reflect demonstrable reality. The solar system as it existed. That is a far cry from analogizing to a paradigm shift grounded in theory of how reality and human behavior and human institutions might be restructured around ICT and Big Data. Especially hoping for new forms of governance with an emphasis on collective behavior and deferring to the democratically adopted consensus. These are theories designed to alter reality, not reflect it, and that is all the difference in the world in whether a paradigm shift is desirable. Especially one that is essentially taking place under cover of darkness. All the intended modelling via the behavioral and social sciences, by the way, is openly acknowledged by FuturICT to not be an actual forecast. Its admitted purpose is to alter and constrain human behavior. The project intends to “develop a visionary information framework, considering insights from social sciences, complexity theory, and ethics.” It just keeps getting better and better. “The framework would analyze data on a massive scale and leverage them with scientific knowledge [behavioral, not physics! ], thereby giving politicians and decision-makers a better understanding to base their decisions on.” And you wonder why the typical legislator or City Council member or Governor is gung-ho on the Common Core. What a king-maker vision. It gets worse when you tie FuturICT with another recent report that seeks to base “long-term public service reform strategies on themes of reciprocity, responsibility, trust and partnership, and the need for a much closer understanding of how people behave, and what they want, need, and aspire to.” http://www.thersa.org/__data/assets/pdf_file/0019/1540126/RSA_Managing-Demand-FINAL.pdf Information that Big Data, especially Big Data coming in through education and connected learning initiatives, has in abundance. Plus in preschool and elementary school it likely reflects what was absorbed from home too. That RSA report envisions a cultural shift towards what can only be described as the kind of communitarian agenda Amitai Etzioni has always hoped for. No wonder RSA had Harvard’s Robert Kegan (also the OECD’s Key Competences) and his stages vision over to speak. No wonder the Positive Behavior Mandates in the US and the actual definition of Career Ready track back to Etzioni by both function and a cited reference source. No wonder the architect of RSA’s UK ed vision, Guy Claxton, can also be found as the co-author of that 2002 book Learning for Life in the 21st Century that coughed up the importance of Piotr Galperin’s Soviet psychological research to creating desired predictable future behavior. The hardest thing about writing this blog is synthesizing so many books, reports, and videos that I read all the way through. Condensing is never easy, especially with complicated material, but these aims are quite clear. The use of education as the means is THE essential component of the sought transformations. These reports keep saying this is untried theory, but that does not seem to be stopping a massive social experiment on us, our children, our society, and our economy. Everything I have (too much to cite on a blog) aligns with this vision and the urgency with which it is being pushed from every direction. This idea that the public sector and universities and NGOs and foundations and Big Business are entitled to remake citizens in order to entrench their own power. It’s not an unprecedented aim, but, with Big Data and ICT, the tools of manipulation have gotten so much better. The theories remain revolting. The way out is to understand this for precisely what it is and to recognize this grasping in real time. It’s why I write. This is not fun, but I believe it is necessary for there to be a way out in time. Perhaps the hardest part of that RSA report on Demand Management is its recommendations to politicians on how to sell this vision without really admitting what is being sought and transformed. Guess what? We figured it out anyway. No chance of the trust of the public sector and governments that these theories all mention as essential happening now. Let’s see what we can do about the rest of this juggernaut going on at our expense. We also need to strike the term ‘public servant’ from the way anyone is allowed to describe themselves from now on. Now you can just imagine the popular outcry if the Common Core and its integral 21st Century Skills were being sold as a shift to Abraham Maslow’s Eupsychian education. That would certainly make the current wholesale transformation of the purpose of education and the function of schools and universities much harder to sell. In fact, that overt psychological pitch might even get the attention of a social-climbing PTA President or a politician intent on ever higher elective office. No one but me at the moment is going to describe what is going on now in such explosively impactful terms. But that widespread omission doesn’t mean it’s not still the actual intention. Sounds just like a shift from a profit economy to a needs-based, For Benefit Economy, doesn’t it? Old ideas at social engineering apparently never die. They just get new names, different advocates, and better sales pitches on why they are necessary and must be imposed, something to keep in mind after Friday’s White House Executive Order imposing Climate Change adaptations like it or not. http://www.whitehouse.gov/the-press-office/2013/11/01/executive-order-preparing-united-states-impacts-climate-change . That “deep knowledge” or what the C3 Social Studies Framework calls “lenses” or what the Hewlett Foundation calls “deep learning” or what Donald Schon (who worked with Bell in the 60s) called “Generative Metaphors” are all examples of what Bell called either “conceptual prisms” or “conceptual schemata.” Having education provide them for ALL Students aids this attempt to bring about a “change in the social framework of society.” I would add and doing so invisibly without bothering to amend annoying barriers like the language of the US Constitution. Friday afternoon Executive Orders on Climate Change Adaptation or Positive School Climate mandates gets the effect without the turmoil that could force policy retrenchment. If you, like me, have often wondered why it always seems to be the Frameworks that guide the actual classroom curricula being developed or professional development instead of the standards that politicians supposedly adopted, the following passage will finally silence our curiousity about what is really going on. “Nomen est numen, to name is to know, is the ancient maxim” guiding so much of the actual classroom curricula to change values, beliefs, feelings, dispositions, and ultimately future behavior itself. “Social frameworks are not ‘reflections’ of a social reality but conceptual schemata. History is a flux of events and society a web of many different kind of relations which are known not simply by observation. If we accept the distinction between matters of fact and matters of relation, then knowledge, as a combination of the two, depends on the correct sequence between factual order and logical order. For experience, the factual order is primary; for meaning, the logical order. So the social planners and transformational change seekers and psychologists and education profs have recognized all this for decades as an essential component of How to Achieve Equity in a Planned Society 102. Without having having to confess beforehand what is being altered and why. Isn’t it about time we all knew it as well? Eupsychia and Humanist Education-Shouldn’t the Links to 21st Century Skills and Common Core Be Emphasized? Ever since I wrote that post as I have sat in Mindfulness seminars that curiously enough now count as continuing legal education and all our encounters with Robert Kegan and the competences vision being pushed by the UN and the OECD, I keep coming back to that 1962 vision as the foundation for so much that has been called “transformational” ever since. I think it is the grounds for the increasing acknowledgment that long-term behavioral change is a major purpose of the Common Core classroom. http://www.edweek.org/tm/articles/2013/10/14/cm_socialemotional.html?tkn=NXTFXS1JDKswLa9ZdPz%2Fis6ez0YbkU87li9t&cmp=ENL-EU-NEWS2 . So when I saw a recent reference to the later book, I thought we might gain some important insights into what is coming at us. “this is a way of discovering what the self is like. There are signals from inside, there are voices that yell out. ‘By gosh this is good, don’t ever doubt it!’ This is a path, one of the ways we try to teach self-actualization and the discovery of self. The discovery of identity comes via the impulse voices, via the ability to listen to your own guts, and to their reactions and to what is going on inside of you. Like a student-centered school that must be engaging and provide success for all students? That sees all students as “assets” and refuses to accept any “deficit” visions for 21st century education? Those last two are quotes from the education vision I heard being pushed at the September (co)lab summit in Atlanta. No matter how lofty the rhetoric about the beautiful, idealistic future to be built via education, if the foundation is mind arson and a refusal to teach reading well because it might foster an independent mind, the future will be one of exploiting people. If governments are directing the economy, who gets what will become parasitic. If I want someone to regularly buy my legal services or tap my knowledge, I have to be good. I better be right. And I ought to be polite and congenial to work with. That’s the private marketplace. When the public sector controls and pays itself with taxpayer money or incurs debt, power is all that matters. And people get paid not for what they know or can do but for what they are willing to do. Or push. Or advocate for. Even if it’s a terrible idea. Beyond the inherent political favoritism of which companies get chosen when politicians and bureaucrats make economic decisions instead of consumers, there’s no real personal penalty for being wrong or wasteful or pushing abusive ideas like a psychological approach to education grounded in research from the Soviet Union. If the charitable foundations with their compounding annually, untaxed assets push socially and economically destructive ideas, there will still be money for salaries and benefits and more destructive grants next year. That may all be obvious but it creates huge problems with the idea of research universities, government agencies, politicians, nonprofits, and connected Big Business collaborating and coordinating together to direct a new kind of 21st century economy and society. Only the parasites are getting seats at the decision-making table or they can greatly outvote the productive sector that ultimately has to fund it all. Making my own way in the private economy, I have to get the big picture and appreciate likely consequences. Even the hard to foresee ones. But there’s really no incentive for someone who gets paid for what they push on others from the public trough to figure out what the consequences will be. The only consequence that counts is the inability to get a lucrative consulting contract or research grant or promotion. That’s what controls. It’s why dirigiste economies ultimately produce stagnancy if not worse. So Sunday and Monday I was at the first ever (co)lab, A Collaborative Leadership Summit in Atlanta with all sorts of Big Business sponsorship. It was to be the template for what is to go on in other cities to push this new economic/social vision for the future. Tom Friedman flew in to give the closing address and Sir Ken Robinson and Tony Wagner from Harvard were just two of the famous education reformers who laid out the ed component for getting to the new desired future. The Fulton County School District’s Conversion Charter that I have been so horrified by ever since I read it was featured as a key component of getting to this reimagined society. A woman by the name of April Rinne spoke on the collaboration, support economy of the future. And since she is also with the World Economic Forum’s Young Global Leaders, there’s our link of what Atlanta inaugurated and what went on a week earlier in Dalian, China (Sept 18, 2013 post). When I went to look into the whole concept of collaborative leadership a bit more, I discovered it is being pushed hard globally by the same group that planned that Dalian conference. http://www.managementexchange.com/hack/stone-soup-global-leadership-new-model-collaborative-leadership-address-today%E2%80%99s-global-challeng Ah, sustainability as the excuse for government control of the economy. That was another key component of the (co)lab vision of the future. I could spend the next few weeks laying out all the troubling aspects of what was presented as The Vision for Our Collective Future. Like it or not, here it comes. No more of an emphasis on the individual and making their own choices. This is an imposed vision and education with a curriculum of affect designed to make students either like it or simply accept it as inevitable. Hopefully though they will act to help make it so, completely unaware of what I laid out in the first few paragraphs of this post. Now I was already going to look that up when I got home even before the next line. Creating that ‘beloved community’ was going to require “qualitative change in our souls as well as quantitative change in our lives.” Sounds like wholesale noetic change and then redistribution. Well, I have heard that pitch so many times in recent years and it never bodes well. Change what we feel, believe, value, wish for, and how we live. How comprehensive that is. How transformative. How personally intrusive. That’s also the goal Abraham Maslow and Carl Rogers had that we have covered and for similar reasons. It’s the goal of the humanistic education and the Curriculum of Affect. I have those Ford Foundation financed visions from the 60’s that we will go over in the next post. What I did not know though is that there were so many people waiting to finalize King’s ‘blessed community’ revolution of civil society and the economy. Conducted through the schools and in the name of the disadvantaged and saving the inner Cities where ever they are located. The most explicit layout of what is really being contemplated dovetails with what King-aide Bayard Rustin laid out in 1965 that we discussed here http://www.invisibleserfscollar.com/commencing-the-long-sought-bloodless-coup-via-education-to-make-equality-for-all-a-fact/ But the MLK ‘blessed community’ vision that virtually duplicates what we have learned to associate with little ‘c’ Marxist Humanism is described here http://www.yesmagazine.org/issues/a-conspiracy-of-hope/the-beloved-community-of-martin-luther-king as being where Dr King had gone in the last two years of his life. And it is this vision that (co)lab and Fulton’s charter and the described reforms consistent with changing the purpose of education are now unquestionably linked to. When the vision attached to education reforms or political reforms to restructure the nature of cities is attached to language about ” a new more human society” with ‘new values” we all need to pay attention. That aspiration has never worked out well. In the name of avoiding exploitation and oppression and achieving justice and equality, the exact opposites occur because political power and its ability to coerce with minimal consequences to the pushers become dominant. But there is such reverence now for King. Will anyone recognize in time the dangers of blindly advocating for fulfilling his vision “to develop an overriding loyalty to mankind as a whole”? What about putting the public sector and charitable foundations in charge of shifting us all from a “thing-oriented society to a person-oriented society?” Wouldn’t a curriculum of affect grounded in psychology as the new focus of education be a useful tool for that goal? We are all being hurdled towards uprooting what we have now to design and create anew. And most people are not in the meetings where this is being laid out at. And there are lots of lies being told in meetings we are at to cover this up so we do not rebel before it is all done. And most of the people advocating for all this are doing it because such advocacy is their livelihood. No one getting paid to push this has to bear the likely atrocious long-term consequences and they have no incentive to even be aware of them. The people who do have to bear the consequences are largely unaware of what is even intended. Which is why my typing fingers are getting calloused and my voice hoarse from trying to sound the alarm in time. As soon as I hear it or see it or read it. Sometimes all three like this time. Dialectical Integration of the Person as a Totality: How Can That Make Anyone Competitive Internationally? What do you mean no one describes the goal in that language in their powerpoint and it’s rude of me to interject such a graphic description into the public debate? Should it count if the clear trail from what is being pushed in the name of making countries or states internationally competitive in the 21st century global economy tracks back to that kind of explicit language? I think it should too even if the 1990 book I took that language from was intentionally withdrawn from the library shelves at Colorado College precisely to prevent anyone from doing just what I did. Recognizing what the editor had been up to in the last 10 years in his work for the OECD and ordering the previously unknown book when a cite to it cropped up in the footnotes on the psychological, Social Brain Project, focus. Truly as much as I love to read, some descriptions that make it to print need to be buried deep or burned if you want to keep the aim and mystery of “college and career ready for all” and everyone should try to excel on international assessments like PISA. Otherwise a pesky writer might chase the vision back to lots of references about how to get social systems to evolve to new kinds of mindsets that would no longer see the Soviet Union as the ‘other’ and risk nuclear annihilation. What is it about psychologists and educators who keep insisting we must have empathy towards cultures where the facts actually show plenty of leaders would like to eliminate us to put it mildly if they could. USSR in 1990 and the Alliance of Civilizations in 2013. Dialectical Integration of the Person in 1990 and a Growth Mindset and systems thinking and metacognition and Kegan’s self-authoring, 4th stage, in 2013. Now I think we have had to wind our way through too much psychobabble in recent posts precisely so we could appreciate the sought emphasis coming to schools, classrooms, and maybe your next corporate retreat soon. I want to talk about how all this rhetoric about being “high performing” and “internationally competitive” and ensuring “economic prosperity” is forcing us to adopt that very psychosynthesized, dialectically integrated, inner core driven by love for all vision accidentally. Because no one seems to bother to look into the actual definitions of terms or the nature of these international assessments. Busy, famous people who hopefully mean well with all their advocacy are pushing ideas that are not actually aimed where these professors and politicians and business executives claim they want us to go. Now a Swede by the name of Torsten Husen laid out the function of these “tests’ in driving a global socialist, welfare state vision decades ago in his 1974 book The Learning Society and then later in 1986 in The Learning Society Revisited. Not really a dispute over that one. Likewise the true nature of PISA and the OECD term Competencies and the intentions were well-laid out in February 2002 at the Second DeSeCo Symposium in Geneva, Switzerland. Which again we were not invited to. We could have brought our ski boots and a cute jacket and drank brandies by a fireplace with a view but no. DeSeCo by the way is an abbreviation for Definition and Selection of Key Competencies but how do we, I mean the OECD officials, get to decide what will be key? Well, we could have Robert Kegan come be the keynoter of the symposium. That’s the same person we encountered in the last post and previously when the Hewlett Foundation hired him and Peter Senge to make sure the Common Core vision in the US would align with Hewlett’s deep learning emphasis. And deep learning says the OECD as of 2010 means the same as its term “adaptive competence.” It all fits together like a designed blueprint, huh, once we focus on the actual implementation instead of the PR powerpoints? Oh quit laughing. Who says it will end poorly this time? We can dream, can’t we? As you can see there’s a reason everyone uses vague illusory phrases and misleading definitions to obscure the real vision. A book came out last week called Endangering Prosperity: A Global View of the American School published by the Brookings Institute with Larry Summers writing the Foreword. Mr Soon-to-Be-Head at the Federal Reserve Maybe. It laid out the need to do well on PISA and other international assessments as a means of “guaranteeing a vibrant economic future.” Poppycock! That’s not what is being measured and chasing after that type of excellence virtually ensures no continuation of economic prosperity. I mentioned the Brookings angle because chasing after getting good at dialectical thinking and the integration of feeling into thought and new values as PISA actually pushes and monitors fits in perfectly to Brookings’ Metropolitanism, Regional Equity, Let the Public sector and Private sector work in partnership crony economic vision that we have already encountered. Like most things having to do with ed reforms these days the truth is behind the curtain and under the sofa but it IS there. And it is all linked. And surprisingly consistent across the decades once you see the vision of transformative change. But a means for economic prosperity? No. I went back to another 1990 book so I could explain what really causes the kind of economic success and technological progress that is being used as the misleading sales pitch for all this psychological, change-the-student and society crap. Written by an economic historian, Joel Mokyr, The Lever of Riches: Technological Creativity and Economic Progress lays out the necessary ingredients. And unfortunately for all of us, they are precisely what is being shut down by these ed reforms. Mokyr points out that what always stops technological progress in its tracks is “social forces that for one reason or another tried to preserve the status quo.” Now the benefits of ed reform and especially the digital literacy focus involve concentrated benefits to a relatively few companies and consultants and widely dispersed costs. Many of those are not even financial but the invisible shift to more malleable mindsets and personalities. Benefits to a few and dispersed, almost unseen costs, are a classic case of when the winners will try to lobby politicians and regulators to “help them out a bit.” And that’s apart from the paranoia that putting Worldcom and DEC on the list of former leading companies will do to surviving tech companies. Can’t imagine being dropped from the Dow Industrial Average will slow down HP’s push into ed in the least. Probably will become part of the turnaround plans. That’s how the cronyism instinct works once the public sector controls so much of who gets what. So the parts of the economy and educational institutions that do promote genuine technological creativity are becoming captive to the public sector and businesses wanting to make sure they don’t become the next defunct or greatly diminished company. And all those slogans about innovation and entrepreneurship turn out to be about new social systems or different ways of organizing an economy or new kinds of human nature. In other words, if we are to have ANY chance of preserving mass prosperity and technological progress going forward, we have got to keep our eye on the real implementation. Verify everything from now on when it comes to education.